Lonavala offers a nice holiday experience for people of Pune and Mumbai and it is a must visit for people visiting Maharashtra. The hill station offers fun, adventure, and lush greenery during the monsoons and winters. The people of Mumbai and Pune throng in multitudes to the hill station of Lonavala. The place has remained a popular holiday destination for several decades and the charm of the place is such that even the tourists from far off go on to visit this hill station of late. Perched at a height of about six hundred meters odd, Lonavala is known for its salubrious and milder climate. 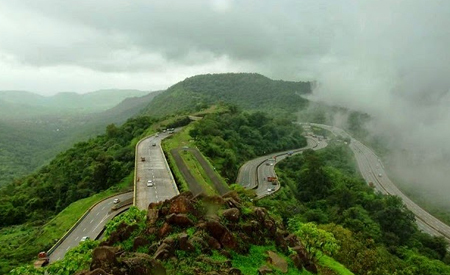 During the monsoons, Lonavala becomes a heavenly retreat for many as the chill in the air gives you several goosebumps. The rains wash the vegetation anew and the whole setting looks fresh and pristine. The beauty of such a lush surrounding is definitely not to be missed by anyone making a tour of the state. An accommodation in any of the hotels in Lonavala and a couple of days off your holiday schedule would simply be worth it during the monsoons or winters, if not in the summers. You can reach Lonavala by train or bus. You can also hire a taxi and hop on for a joy ride since the whole route is full of sceneries. The place is just 70 km from Pune and about 5 km from Khandala. It means besides, Lonavala you can explore Khandala too, which is just another refreshing experience to buy yourself on the trip. So, what are the virtues of which this hill station boasts? Lonavala has some beautiful waterfalls, a few amazing viewing points and a couple of lakes as well. You also have the choices of trekking, hiking, camping, etc. With so much so to explore, the nomad in you would certainly feel the insurge of that typical wanderlust, wanting to pack your hiking boots, camping gear, a backpack full of essential traveling stuff, and the swiss knife, of course. Think of going to Lonavala with your college friends or closest pals. It is the sort of place that you are going to enjoy to the fullest. A bonfire by the night, some adventurous excursions during the day, little bit of camping, and a full-stretched rest in the hotel room in one of cheap hotels in Lonavala – what more can you ask as a modest traveler. Further you can check out the Tiger’s Leap, Karla Caves, Lohagad Fort, Duke’s Nose and many other popular sites of tourist attractions at this hill station. So, a trip with your family is also the right choice. So, just gift your kids and folks a nice holiday in Lonavala this weekend and have a memorable time altogether.